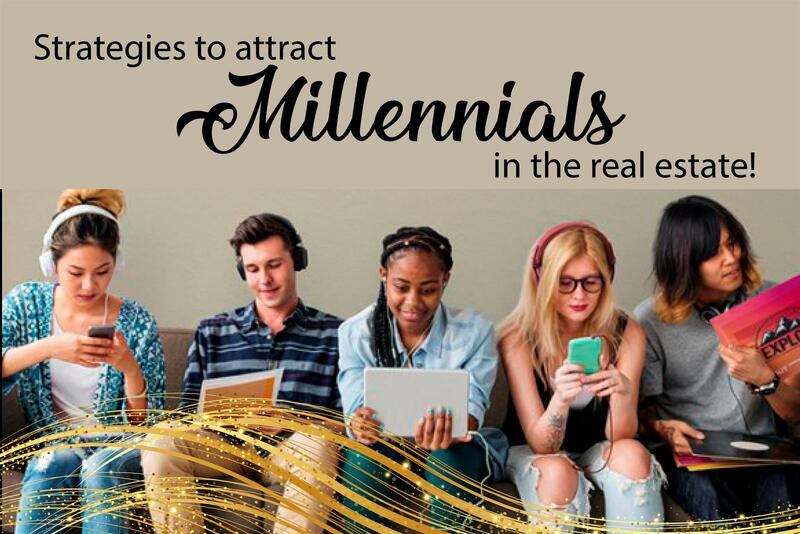 Millennials are young professionals full of curiosity and perseverance who are mostly looking for new opportunities to demonstrate their knowledge and talents, for this, they are constantly exposing themselves in the eyes of those who are looking for new certified professionals to form part of their equipment or their brokerage. This is essential to be irresistible to any professional who is looking for a new job. Values ​​such as transparent communication, solidarity, good personal relationships and respect are vital for harmonious work within a team. Millennials were born together with the technologies that we use most today and that is why providing this type of facilities for the proper development of work is important. The approach they have through social networks and the internet could provide new tools for the future of your real estate brokerage. Work autonomy within a team or a work group can make a difference when it comes to attracting young professionals because this allows the freedom they seek so much. This can be positive to achieve goals because it will improve performance and keep everyone motivated. Without this you have almost nothing. The environment where you work, the way in which things are communicated, the comforts that surround the individuals and the daily development of work are topics that you must cultivate and improve in order to have the best ones with you. New individuals within a company or a career always manage to change the air that is breathed, bring a renewal effect both for the strategies used and for the ways of doing things that directly leads to a group evolution that allows the growth of the real estate Always keep in mind that the hunger for success is imprinted in the new generations and it is always advisable to attract this type of personalities.